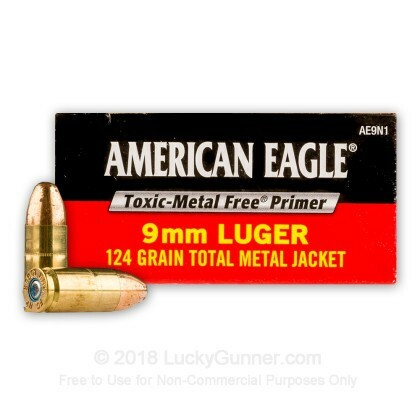 This special run of Federal American Eagle 9mm ammunition functions to the same high standards that you are used to with the advantage that this is ideally suited for indoor ranges with its TMJ projectile. This total metal jacket projectile is fully encapsulated in copper which significantly reduces airborne lead. Additionally, the primers used in this cartridge are toxic metal free reducing the amount of lead exposure for poorly ventilated areas. 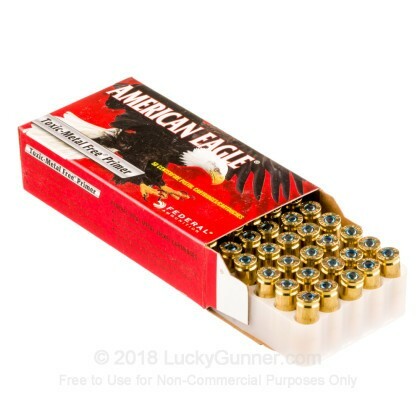 Federal American Eagle is quality American made ammunition. 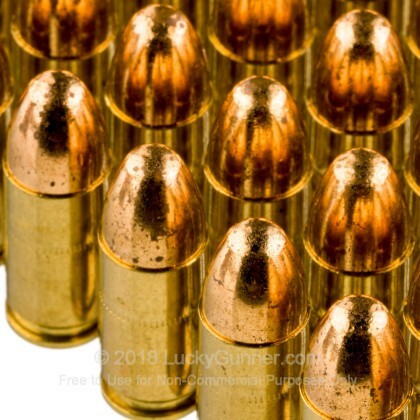 This ammo is brand new, brass-cased, boxer-primed, non-corrosive and reloadable. For range training ammunition, it doesn't get any better! Buy in bulk and stock up your arsenal today! 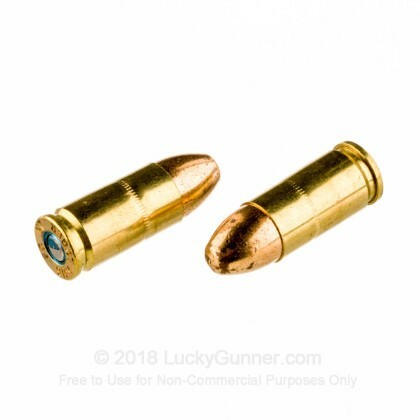 I find this to be great range ammo. Fairly clean with no misfeeds, consistently. Price is right. 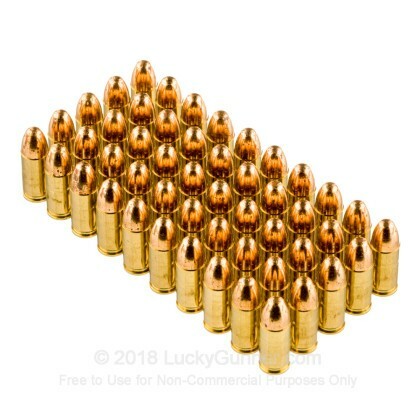 This is now my go-to range ammo. Q: What is the difference between Fmj and tmj? A: A full metal jacket will cover all of the lead core except for the base. The Total Metal Jacket or TMJ will completely encapsulate the lead core so none is exposed. 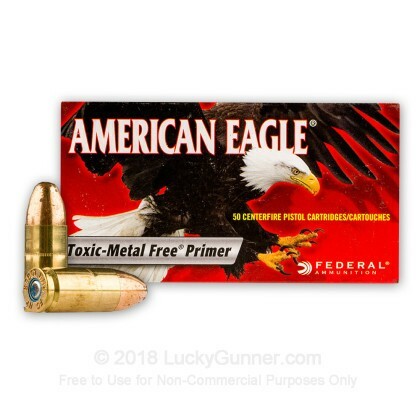 This common with the 'clean fire" or "indoor range optimized" ammo such as this Federal American Eagle Non Tox. We also have this 9mm - 124 Grain TMJ - Federal American Eagle - Non-Tox - 50 Rounds ammo in stock in a smaller quantity.